Workers package some of the artisinal cheeses at the production facility of Fromagerie Fritz Kaiser in Noyan, Que., in October, 2018. British Trade Minister Liam Fox loves to talk about how eager he is to negotiate a trade deal with Canada once Britain is out of the European Union. He has already zeroed in on Canada’s protected dairy sector as a key issue in those discussions. Mr. Fox made the comments after a speech in London where he talked at length about the importance of open markets and liberalizing global trade. When asked specifically about a trade deal with Canada, Mr. Fox cited cheese as an issue, but added that he felt confident an agreement could be struck. “Of course the more that you want, the more you will have to give,” he said. “The less you want, the less you have to give. That is the discussion that we will have. What [Canada and Britain] do have is a very, very clear shared view that we need to be at the forefront of trade liberalization." The U.K. is set to leave the EU on March 29, although Prime Minister Theresa May has yet to get a withdrawal agreement through Parliament. Mr. Fox has been an ardent supporter of Brexit and argues the Britain will thrive outside the bloc with its own trade policy. On Friday, he said Britain would use the Canada-EU trade deal, known as the Comprehensive Economic and Trade Agreement, or CETA, as a building block for a future U.K.-Canada agreement. But he also indicated Britain wanted to go further. “We are discussing with our Canadian partners what we might look for in terms of extensions to CETA to provide additional liberalization,” he said. Those discussions are expected to include dairy products and financial services. Canada’s dairy sector is already facing pressure from CETA, which came into effect in 2017, as well as the recently concluded U.S.-Mexico-Canada trade deal and the Comprehensive and Progressive Agreement for Trans-Pacific Partnership (CPTPP). 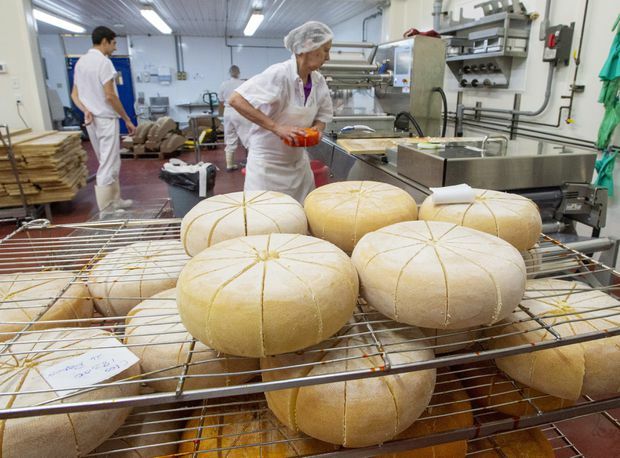 The Canadian dairy industry has estimated that it will lose about 10 per cent of dairy production because of those deals and CETA alone has more than doubled EU cheese imports to 31,972 tonnes, or about 7.5 per cent of the Canadian cheese market. The British dairy industry is worth about £11-billion ($18.8-billion) in annual sales, with cheese accounting for about £3-billion. Most British dairy exports go to other EU countries, but sales of cheddar cheese and milk powder to the United States have soared in recent years and the U.S. now represents around 15 per cent of total U.K. dairy exports. Those same products would likely head to Canada under a trade deal, say farm experts. Mr. Fox didn’t spell out what the U.K. would be looking for in trade discussions with Canada, but he stressed the importance of helping consumers. “We need to remember one of the prime reasons for an open trading system is to give consumers better choice at lower price,” he said. That could be seen as a shot at the Canadian dairy system, which protects Canadian producers with strict quotas, higher price and steep tariffs to shut out foreign players. Financial services will likely be a major part of any trade negotiations between Britain and Canada. The service sector makes up nearly 80 per cent of the U.K. economy with financial services employing about one million people. CETA doesn’t cover financial services in any detail, but Mr. Fox said liberalizing trade in services will be a priority for the U.K. after Brexit. "Leaving the EU gives us the freedom to pursue an independent trade policy that reflects our unique strengths in services,” he said in his speech. After the speech, he said the U.K. is hoping to conclude trade deals with Australia, New Zealand and other Asian countries that include a “gold standard” for trade in services.